Islamic Medicine is based that we physiological, psychological, mental and spiritual components. If something affects them, Muslims should seek early medical attention according to the Prophet's (peace me upon him) practise and teaching (sunnah), because our healthly body and spirit are gifts and trusts from Allah. Such spiritual and religious appraoches to diease are interpreted as methods of coping and hope. That's why for Muslims, the Qur'an, Dua, and asking for protection from Allah are forms of Medicine. Form the Islamic point of view, a strong faith and trust in Allah play an important role in the cure of diease, as does eating well in an effort to recover. "Make full use of the two cures; Honey and the Qur'an". ....Dr. Mehdi Ben Abboud of Morocco has said, Islam prescribes both ways of treatment with excess in the former of neglect of the latter, as individuals are an integal composite of the body and spirit. we are encourged to feed our souls as we feed our body, through prayer and continued worship in our daily lives. "when my servants ask you concerning me, i am indeed close to them: I listen to the prayer of every supplicant who calls me (Qur'ran 2:186) Taken from Book: "Spirituality and Health: Multidisciplinary Explorations"
Know that the 1st chapter in Imam Al-Haddad book "The Book Of Assistance" is about "Certainty" –...Certainty is power, firmness and stability of faith so great that it becomes as a towering mountain which no doubts can shake and no illusions rock. Rather, doubts and illusions disappear completely, and when they come from outside are neither listened to by the ear nor heeded by the heart. to read full Click here "Certainty". 2. Healing by Aa’maal-e-Saalehaat, ibadah-worship actions Salaat, Sadaqah, Fast, Quran, Zikr, Duaas & Ruqya, Husn-e-Khulq, abstaining from sins, Istighfaar, etc. As for ibadah-worship and the best timings to make dua; From Imam al-Haddad; …persevere with Witr and Duha prayers… be extremely careful to always keep alive the periods between the dawn–fajr and sunrise-(salat al-Ishraq is 15mins after is sunrise), and between the afternoon prayer-‘Asr and Maghirb-sunset for these are noble times where those servants who turn to Allah receive the flow of assistance-(Madaad or madaat). It is also sunnah to go and see a doctor. As for Herbs i shall mention them below. 5. Healing by Hijamah-Cupping; which is Sunnah and one of best kinds of treatment and recommended by all the angels on the Mi'raj as and advice to the Ummah to us. Recommended by Mawlana Shaykh Nazim: take one raw onion and grate it into a cheesecloth. Squeeze the juice of the onion through the cheesecloth into a glass. Drink one glass half an hour before breakfast and one glass in the evening an hour after dinner. Continue for a period of 40 days. If necessary, you may repeat another 40 days. If cancer has already developed, a forty day course of onion juice may be performed without delay. According to Shaykh Adnan Kabbani, "Onion Juice Therapy can not be performed in conjunction with chemotherapy or radiation". Therefore, a decision must be made to decide if a 40 day course of onion juice is advisable with your particular condition. It is highly recommended to consult your doctor to determine if trying an alternative method is advisable before starting other forms of modern cancer treatment. Many people will begin Onion Juice Therapy as sson as they suspect cancer. THe process of diagnosing cancer normally runs in excees of forty days. Testing for cancer should be repeated after therapy to insure that the cancer is no longer present. If you find a marked reduction in the size of a tumor or other benchmarks, you must then decide if repeating another 40 day course is advisable before opting for modern treatment. Which ones Red or Whites Onions the red are said to be better? Cancer Fighting - red onions provide stronger protection against cancer. Both types of onions are powerful superfoods with anti-carcinogenic, antiviral, antibacterial, and antioxidant properties. Onions are packed with beneficial nutrients and compounds. Many think that the only difference is the appearance and taste, but when you examine the nutritional differences of red onions vs white onions, one contains more health benefits than the other. They both also provide about 10 percent of the daily value for vitamin C and the same amount of calcium per serving. Red onions also win in the category of cancer prevention and blood thinning properties. Additionally, red onions contain less sugar compared to white onions, which is where they get their sweet taste from. One of the most beneficial compounds in red onions is quercetin, which is a polyphenol compound. Quercetin is a powerful compound which is beneficial for scavenging free radicals in the body. Red onions are also richer in anthocyanins which give them the red/purple color. Red onions were found to contain at least 25 different anthocyanins. Due to the high amount of antioxidant properties contained in red onions compared to white, red onions provide stronger protection against cancer. The quercetin and allicin in red onions have been shown to reduce inflammation and be beneficial for both the prevention and treatment of cancer. Studies have shown that the consumption of onions reduces the risk of stomach, colorectal, oral, laryngeal, esophageal and ovarian cancer. According to one study, the risk of stomach cancer was reduced by 50% when half an onion was eaten daily. 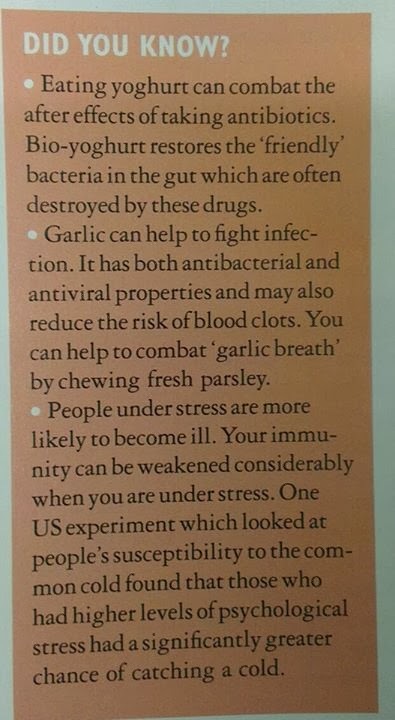 see full article click here "Red Onions vs White Onions"
"give a full Instructions of 40 Days of Onion Juice Therapy"
"Onions and Garlic May Prevent Cancers"
See full article below "Green tea and Quercetin tables kills cancer tumor"
and 511 times at night. Every kind of treatment is in the Quran. The Source of Peace. He who frees His servants from all danger and obstruction. He greets His fortunate servants in Paradise. The Flawless, The Source of Wholeness and Well-Being, The One who is free from every imperfection. The Giver Of Peace Or One Who is Immune From All Distress The One who is free from every imperfection. YA SALAMU: O Source of Peace! If this is repeated 125,000 times over someone who is ill, it will help the patient to recover. Anyone who recites this Ism continuously. Allah will protect him from all calamities and maladies. Allah Gave Sayyiduna Prophet Dawud-(a.s.) the Pslams and its like and better is Surah An'am (6). I've mention The merits and Benefits of Surah An'am and now its known of its secrets to cure or give Shifa. Surah An'am - "... Never has it been recited over a sick person, without Allah granting him a cure". Reading the 6 Aayatul Shifa. Dua of Sayyiduna Ayyub is used for Shifa as well as Black Magic and "Cupping-Hijama" is also known to take out Black Magic "Cupping-Hijama", as Hijama takes out all dirty blood and also Black Magic. Ibn Al-Qayyum mentions that the Messenger (s) was afflicted with Black Magic and was cupped on the head to treat it. He also highlights that Hijama is one of the best cures to treat Black Magic if performed correctly (Zaad al Ma'aad 4/125-126). 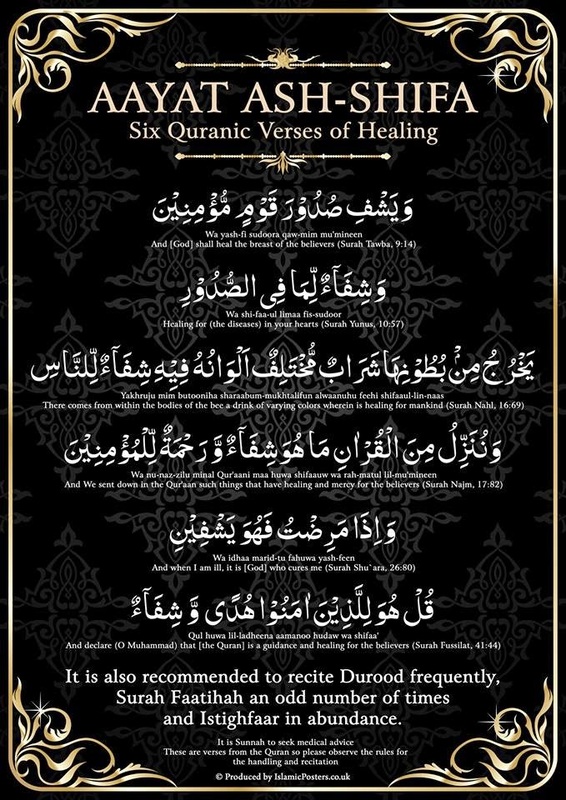 Ruqyahs (protective words of the Quran and the Sunnah) can help in treatment. 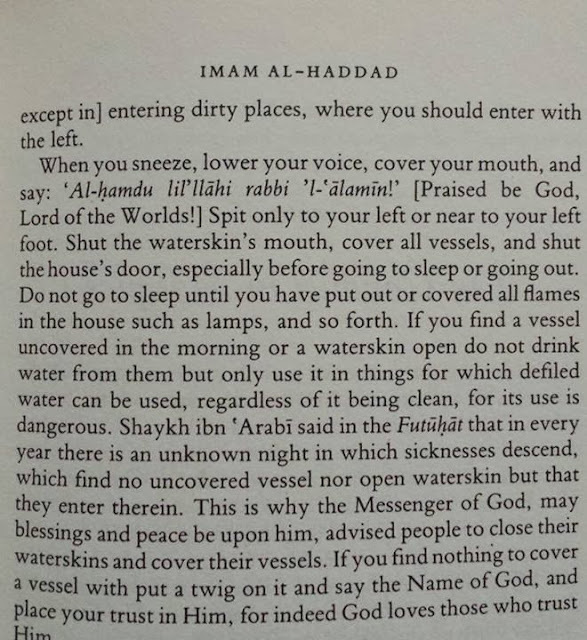 Taken from 'The Book of Assistance' chapter 14 'On following the Sunna' by Imam al Haddad. 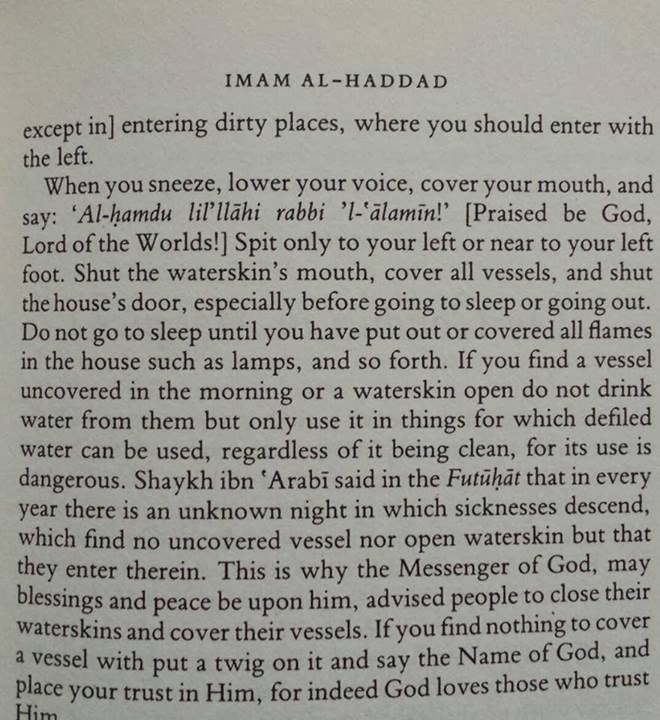 The last section is about not drinking from vessels that were NOT covered over night as a sicknesses descends one a night that is hard to recover from.